HEAL YOUR ANXIETY in love and life and REVEAL YOUR ASSURANCE. With this outcome, You’ll be able to experience calm and ease everyday of your life and in any situation. This attribute will enable You to communicate clearly what You want in love and life and also be clear about how to generate it from the inside out. HEAL YOUR SHAME in love and life and REVEAL YOUR MAGNIFICENCE. With this outcome, You’ll be able to live with deep, gracious, self-acceptance. This attribute will enable You to stop judgment, condemnation, and resentments so that You can move through life with boldness and confidence. HEAL YOUR NEEDINESS in love and life and REVEAL YOUR WISDOM. With this outcome, You’ll be able to create healthy, clear boundaries in each relationship You generate. This attribute will enable You to receive Divine wisdom, within the safe space you generate, and trust Yourself to make decisions and be a good steward over all that you have (your space, your time, your money, and your energy). HEAL YOUR LUST in love and life and REVEAL YOUR RESOURCES. With this outcome, You’ll be able to promote awareness in Yourself about the abundance of material wealth You have right now. This attribute will enable You to recognize your assets and learn to increase what you have and also intentionally share it with others. HEAL YOUR FEAR in love and life and REVEAL YOUR COURAGE. With this outcome, You’ll be able to meet your sense of unworthiness and self-loathing with Truth. You’ll establish a system for continual healing of fear so that You can see Your courage clearly and operate from it in each life situation, relationship, and experience you create or encounter. HEAL YOUR RAGE in love and life and REVEAL YOUR PEACE. With this outcome, You’ll be able to embrace and heal your anger, vitriol, bitterness, resentments, and indignation. You’ll heal your defensiveness and the barriers you erect around You. Through this attribute, You’ll experience peace beyond all understanding. When you make the $897 deposit now, you’ll get $100.00 off immediately. Then, you’ll make 6 payments of $697 + receive these wonderful benefits. Tip: Listen to this audio recording over and over again before the course. 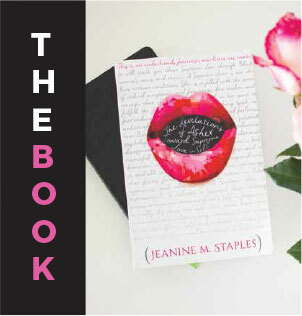 You’ll be able to access it to hear Jeanine coaching you at the beginning of your process. Then, you’ll be able to listen to it after you graduate from the Supreme Love Course and see how far you’ve come! A collection of engaging, accessible, #BreakThroughBooks to guide you through each module and lesson of the Supreme Love Course. Our #BreakThroughBooks are filled with indispensable checklists, quicksheets, mindshifting exercises, exclusive resource guides, and more! Tip: When you do your simple, enlightening, and impacting homework in the evenings, you’ll be really ready for the #MorningMail! Tip: When you read your #MorningMail, you’ll re-center your intention for the day everyday, before you say or do anything. This will set you up for consistent success and create healing habits you need to anchor your thriving. Tip: When you listen to Jeanine clarify the method of the day, coach you through the application, and prepare you for what’s next, you’ll be ready to practice Supreme Love in baby steps and grow beyond belief! #CohortCalls every month. During these personal, rich, person-to-person group calls you’ll get to listen to Jeanine share information about the methods for Supreme Love, inspirational stories of healing, and respond to questions from the 2016 Cohort! Tip: There a few select guest speakers lined up too! You don’t want to miss Jeanine + these experts! Access to the Supreme Love Course closed Facebook group. Tip: You’ll want to join this group to ask additional questions of Jeanine and her guests and share testimonials of your growth. Attention will be given solely to the 2016 Cohort and any member who wants extra coaching. Access to Jeanine’s spontaneous, live #VibingVideos in the Supreme Love Course closed Facebook group. Tip: We don’t know when Jeanine will pop up with a live video in the Facebook group. 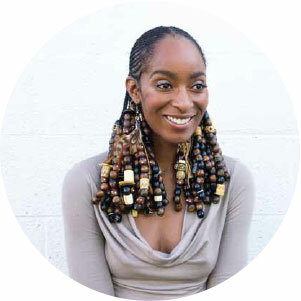 So, gain access to hear her updates, quick talks, useful tips for practice, and encouragement for forward movement toward Supreme Love! A video can happen at any time! Access to the Supreme Love #ToYouTexts. Tip: When you sign up, Jeanine and members of Jeanine’s Team will text you encouragement and reminders during the day, and sometimes at night. With this feature you will stay connected to Jeanine and not miss a beat of the course. When you complete the $4500 investment now, you’ll save $579 + get ALL of these benefits (and more). 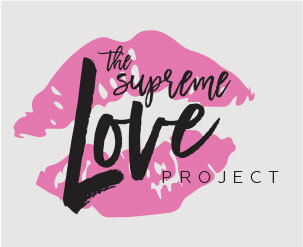 20% off the next Supreme Love Course Jeanine develops OR the next digital product Literacy for Life™, LLC produces. Tip: Our catalog of summits, books, courses, and resources is growing like wildfire. This discount is good for whatever you want. That’s why the discount code is called #WhateverYouWant! 1 additional #CourseCall with Jeanine after graduation! Tip: A call with Jeanine begins at $250 (for 20-minutes) and goes up to $500 (for 1-hour). This is a HUGE additional savings for you! Tip: We can make this a phone call or Skype call. Your choice! Most people will not ever get to meet Jeanine in person because she doesn’t do private coaching. This is your chance to have her undivided attention for 1-full-hour. You can talk about your progress in the Supreme Love Course and next steps in your healing. Tip: This summit is valued at $297 $97. This bonus is another incredible savings for the full investor. If after 60-days you feel like you’re not experiencing noticeable, incremental successes with the course, we’ll schedule you for a 30-minute VIP session with Jeanine. She’ll work with you during that single session to troubleshoot and customize the program to better meet your needs. If you get to the end of the course without experiencing noticeable, incremental successes, we’ll ask you to show us your completed workbooks for verification of your investment and to inform our advising for next steps. Then, you can repeat the course a second time at no additional cost. We do everything we can on our end to help you succeed as a Supreme Lover. We’ve got your back! *If two payments or more payments are late or missed, without explanation, during the course, we will support you in de-enrolling you from membership and close access to all course features until a better time for participation arises in your schedule. ^All deposits and monthly course fees are non-refundable.